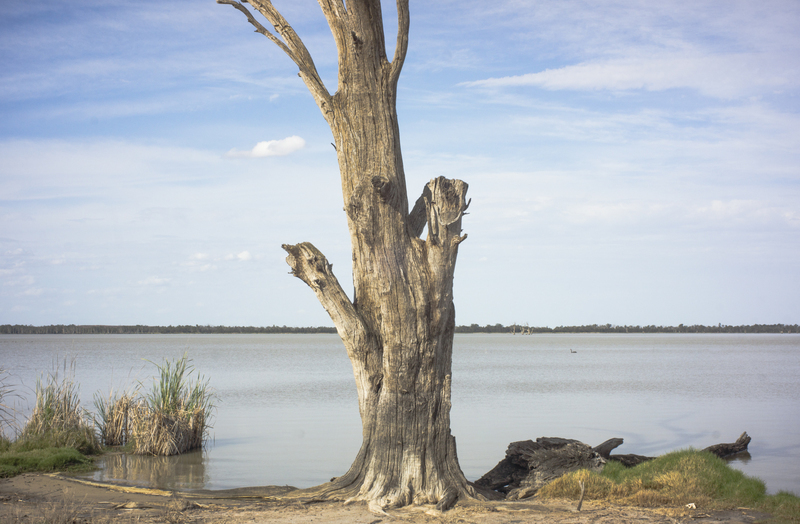 The November Mallee photocamp was based at Morgan, which is located in the corner where the Murray River turns to flow south. The mallee scrub is being cleared and replaced with irrigated agriculture. Whilst there I spent an afternoon photographing along the southern bank of the River Murray at Moorook. This hamlet is between Kingston-on-the Murray and Loxton on the Sturt Highway, and so it is a part of the Riverland region in South Australia. I had briefly photographed along this stretch in the 1980s (in black and white) and then around 2004 (in colour). I remembered photographing along this stretch of the river as I drove past it on my to Loxton to do some research in the Loxton public library. I did some scoping on my return to Morgan from Loxton.